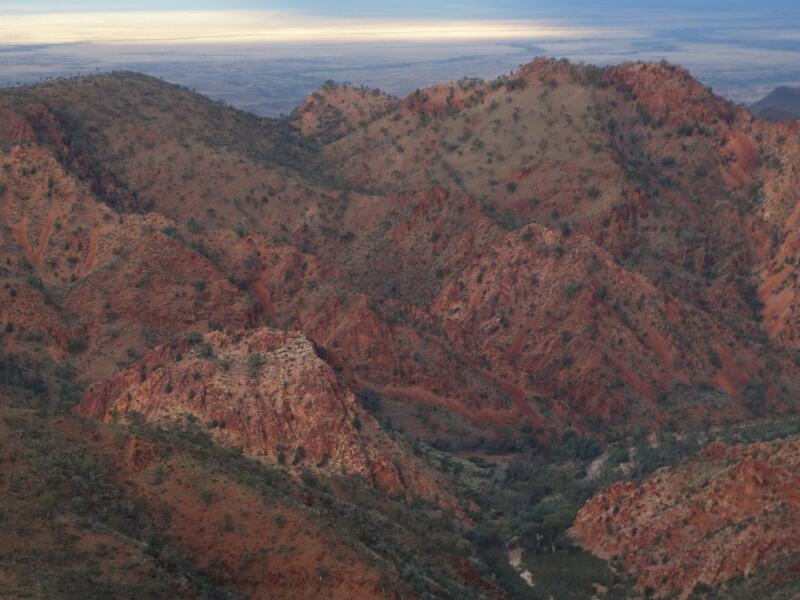 The Flinders Ranges of South Australia are unlike any other you will see. 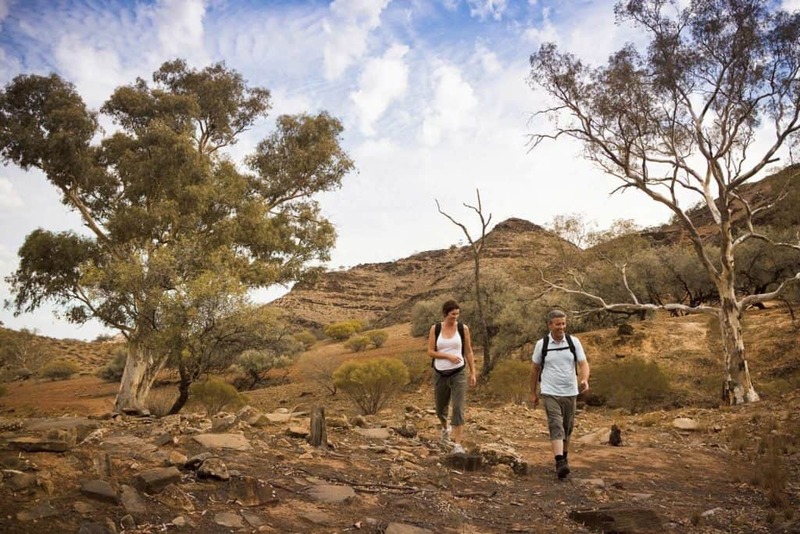 Characterised by towering ancient cliffs, deep craters and magnificent red river gums, it is like you have entered another world, lost in time. Join Kirkhope Aviation on this 4 day air adventure and you will understand why we believe it is one of Australia’s best kept secrets. Secure your place with a 10% deposit. No availability yet? Please enquire! 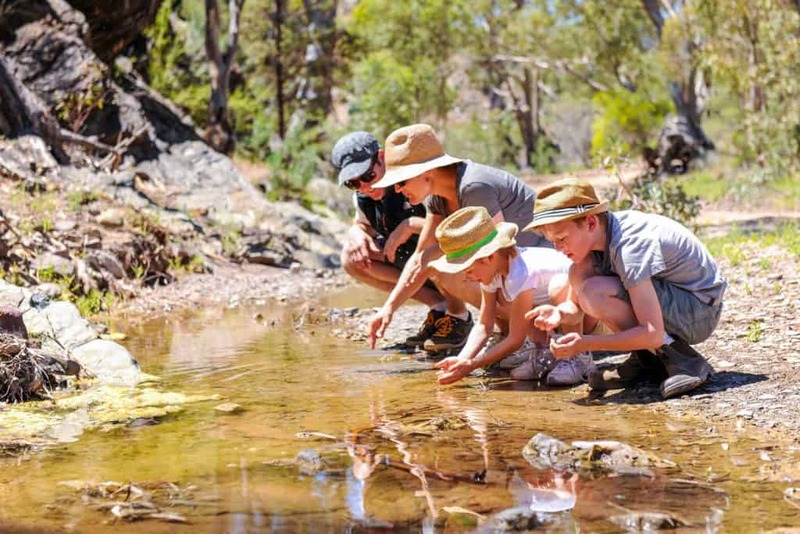 The Kangaroo Island and Gawler Ranges trip was great, and we all three enjoyed it tremendously. Thanks again, Keith, for being a great pilot and companion. Accommodation is twin share and includes ensuites wherever possible. Accommodation is normally best available and may include hotels, motels, cabins, resorts and/or glamping. 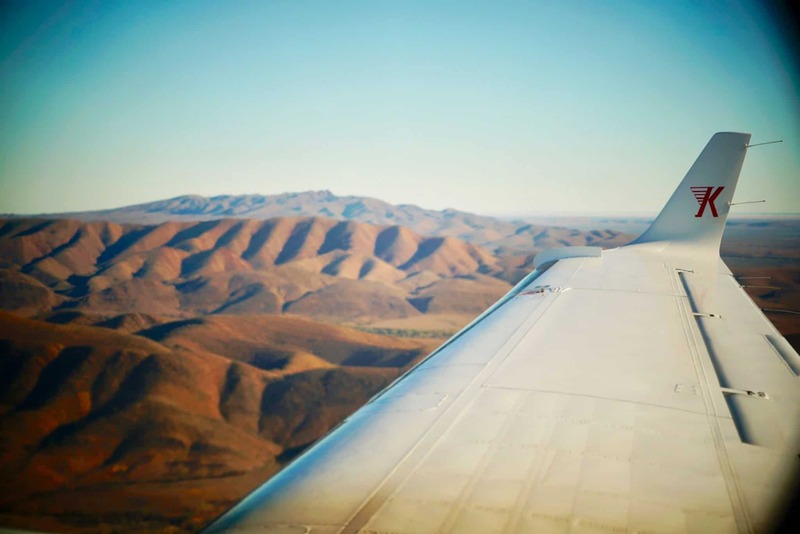 Meet at Moorabbin Airport and depart for the Flinders Ranges. A brief refuelling stop at Mildura before flying on to the magnificent Flinders Ranges, prior to landing enjoy a scenic flight through the spectacular Wilpena Pound. 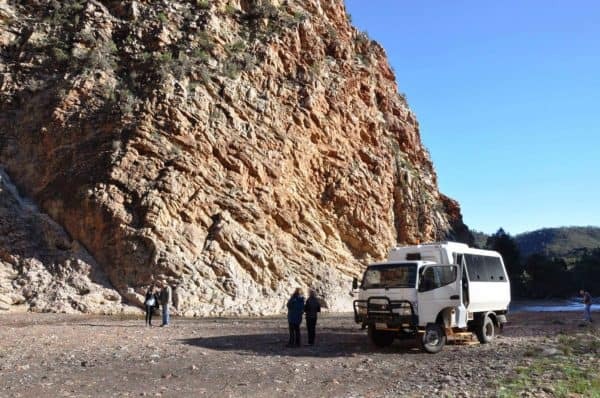 Following lunch board your 4WD for a brilliant afternoon exploring 2 of the Flinders Ranges most stunning gorges – Bunyeroo and Brachina. 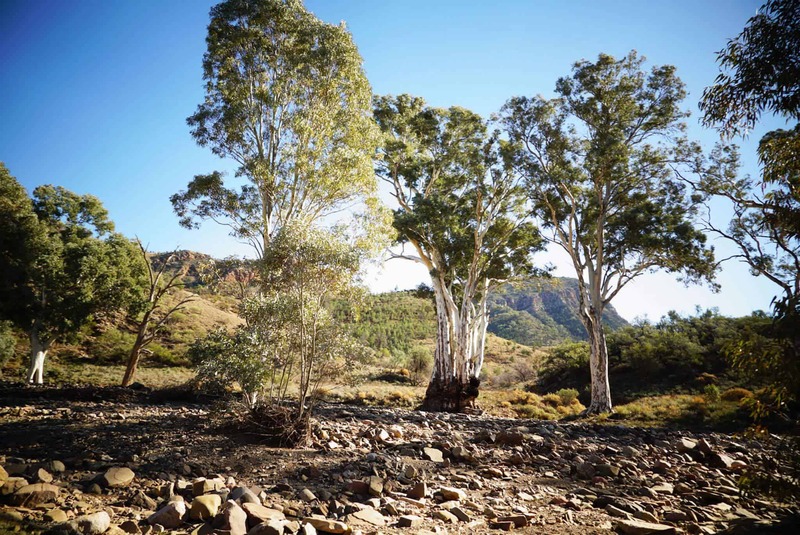 Bunyeroo Gorge is one of the main gorges which runs through the Heysen Range towards Lake Torrens. 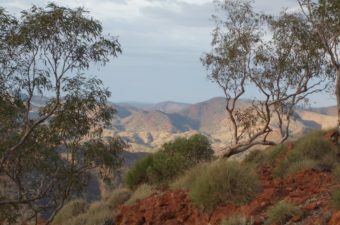 The drive down the razorback to Bunyeroo Valley gives spectacular views South towards the Pound Range. In this area a variety of wildlife including kangaroos and euros can be seen. Brachina Gorge meanders its way through sharp sawtooth ridges of resistant quartzite. This spectacular gorge was once used as a pass through which bullock teams pulled their loads. 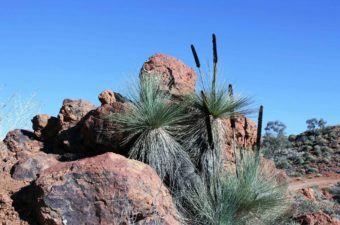 “Brachina” derived from the Aboriginal word ‘vachina’, meaning cranky, refers to a mythical argument between birds over a grind stone. Late afternoon check into a luxury eco-villa at Rawnsley Park Station overlooking the southern side of Wilpena Pound. 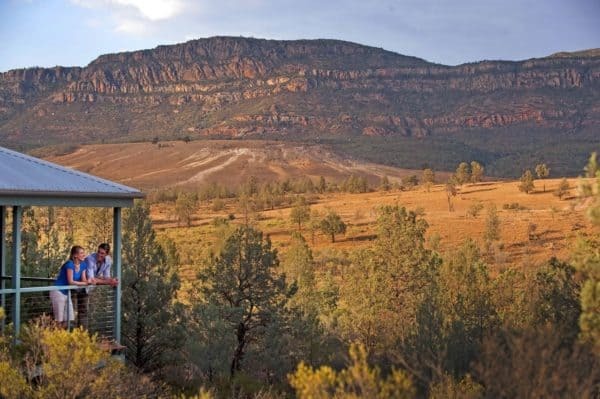 Watch the blazing sunset from your own private veranda and relax in the tranquillity of the Australian bush. 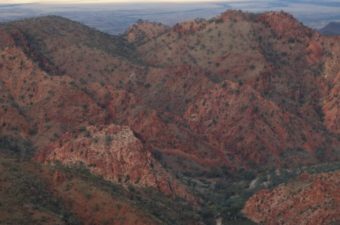 This morning fly north to Balcanoona and transfer to Arkaroola Wilderness Sanctuary in the ruggedly spectacular northern Flinders Ranges. Following lunch partake in their signature Ridgetop tour, travelling in specially constructed open-top 4WD vehicle. 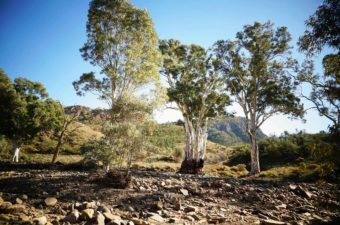 Enjoy breathtaking views as the 4WD meanders along the ridge top track culminating at Sillers’s Peak. Return to the Sanctuary and settle in for the evening. 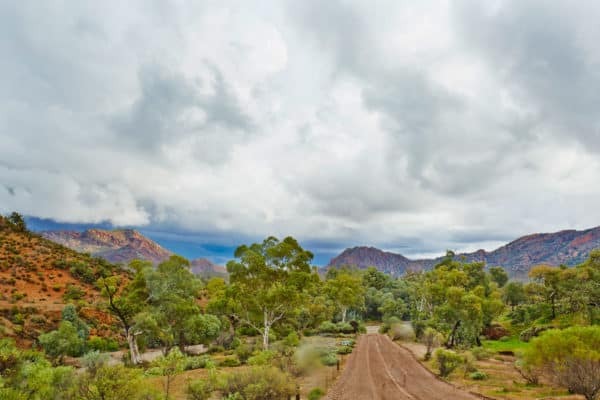 When the heavens light up, head to the Dodwell Observatory for a tour of the universe from a location that provides some of the best viewing conditions in Australia. Following breakfast, fly from Arkaroola to Blinman. 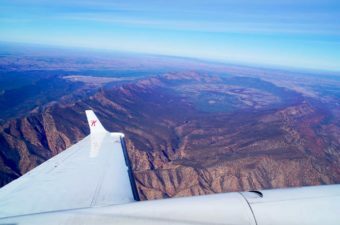 Landing at Blinman in the heart of the Flinders Ranges, lunch at the North Blinman Hotel before an afternoon tour through Brachina’s Gorge. Once used as a pass which bullock teams pulled their loads, the gorge meanders it way through sharp sawtooth ridges of quaretzite. 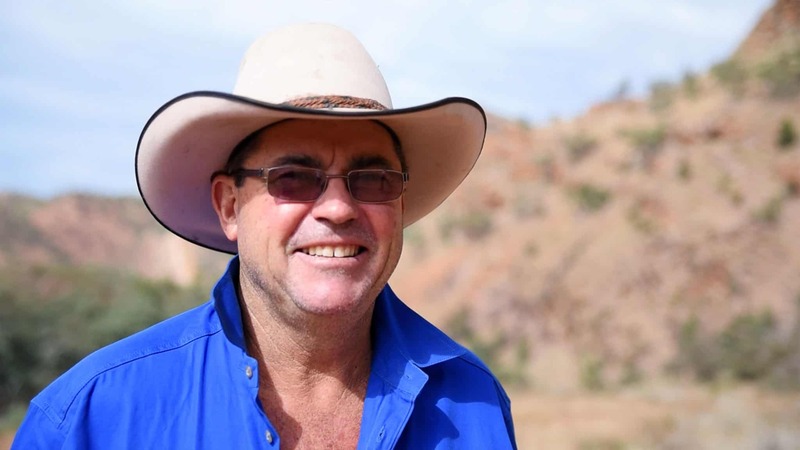 Look out for the vulnerable yellow footed rock wallaby that inhabit the area. 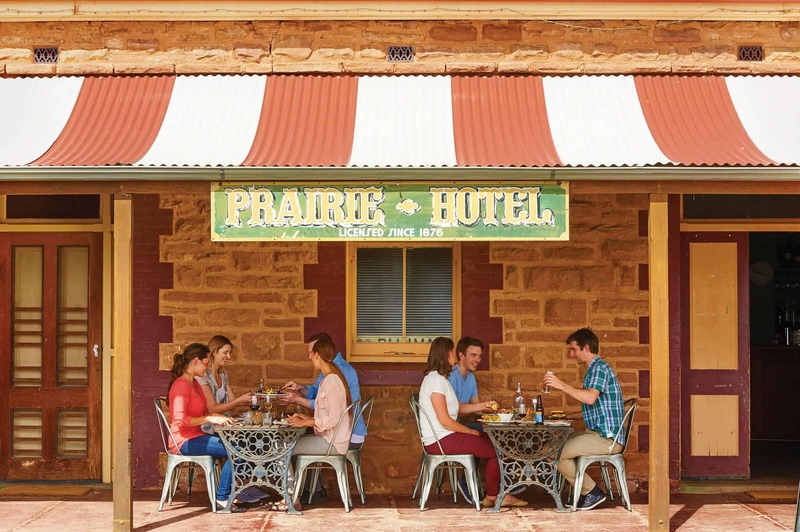 Onto Parachilna and home for the night, the historic Prairie Hotel built in 1876, an icon of the Flinders Ranges. The nicely appointed, yet quirky hotel has become famous for its ‘feral food’ that people journey from far and wide to sample. This morning an excursion to the most significant Ediacaran Station fossil site. The site at Jane and Ross Fargher’s Nilpena Station (who also operate the Prairie Hotel) is one of the most important in the world, representing the earliest evidence of complex life on earth. Featured in David Attenborough’s ’Life on Earth‘ the Ediacara fossils preserve entire ecosystems enabling scientists to understand what life on earth was like in its earliest forms. 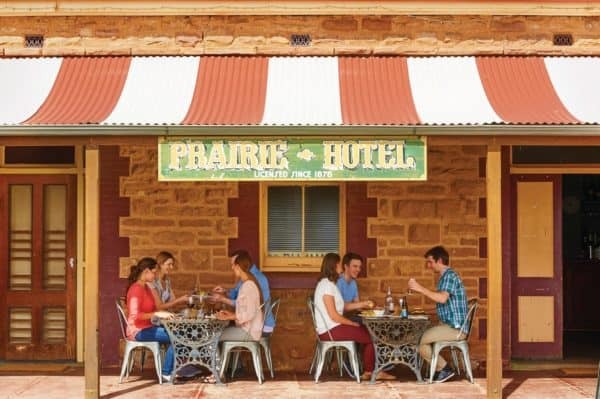 Return to the Prairie Hotel for lunch before the drive to Blinman where we reboard our aircraft for the flight back to Melbourne refuelling at Broken Hill on the way. Arrive Moorabbin Airport concluding a most rewarding tour of the stunning Flinders Ranges. 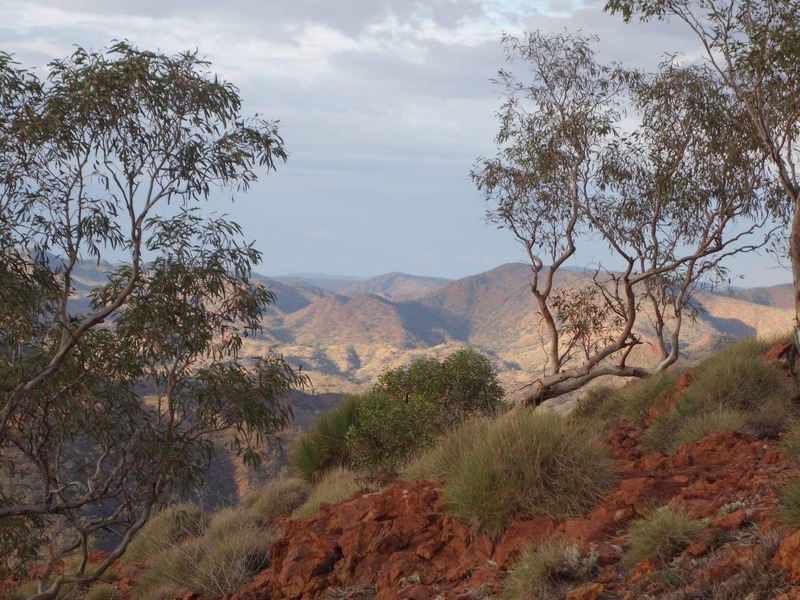 Yes, please send me a PDF copy of the itinerary for "Flinders Ranges (4 days)"